I am an award winning professional Wedding and Portrait Photographer based in Harlow, Essex, UK. A very creative experienced internationally published freelance photographer. 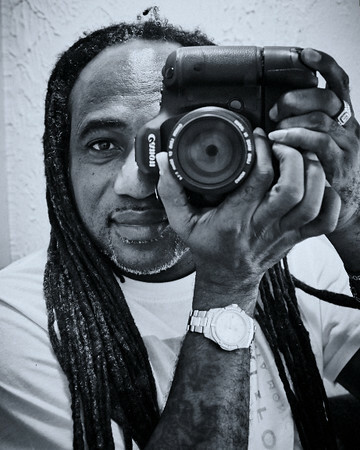 I have been a photographer over 10 years and you will reap the benefits of my experience. Services range from Performer Portfolios, Weddings, Engagements, Events, Parties, Fashion, Portraits Photography. I also offer and have a passion for Boudoir Photography which you can tie in with your Wedding as boudoir albums make excellent presents for your new spouse. I cover London, Hertfordshire, Essex & the South East, but not restricted as I do work anywhere in mainland UK & worldwide. Recently chosen to be the official photographer for NEN The National Enterprise Network 2013 conference. I've also appeared on Channel4 documentary The Audience which aired early 2014. I come from a long line of photographers and, growing up as a small boy in Barbados, it was my uncle who fuelled my passion most. I've now been working on the mastering of light capture for more than 20 years and my style has continued to develop all that time. I find working with a diverse range of models and situations to be most stimulating. In particular, I love location shoots – because each one is different and you can experience a wonderful creative synergy by combining new people, locations and themes. I believe totally in reliability and trustworthiness and will always put 100% into my work. I always shoot the best photos I can, in a professional manner and at the highest quality level possible. Peterbphotos 1 West Walk, Harlow, Essex. CM20 1LR. Or click the contact link in the menu.